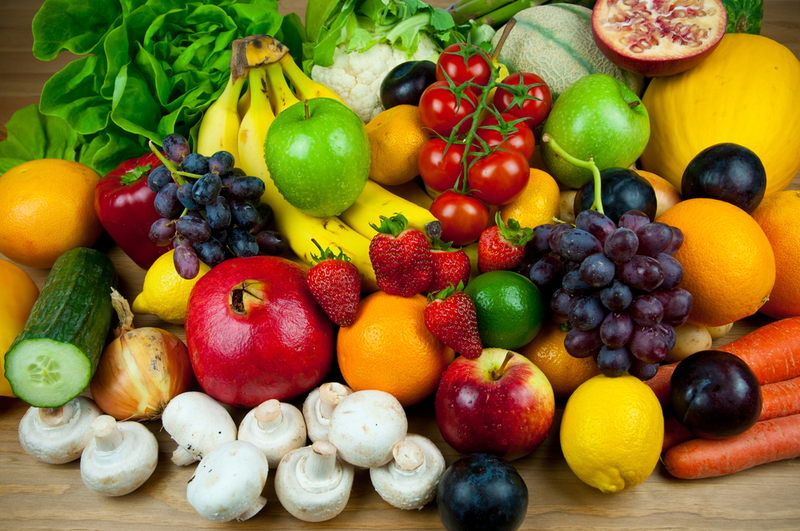 Antioxidants are beneficial compounds found in fresh fruits, vegetables, teas, nuts, grains and some poultry and fish. They are known to protect the body cells from being damaged by free radicals (molecules produced by the body when it breaks down food among other factors). Free radicals are considered to play a major part in factors that lead to aging and other diseases like cancer, heart disease, loss of vision, etc. Here is a video that can easily help you understand how antioxidants protect the skin by preventing free radical damage. Antioxidants are not just good for the general health but are also beneficial for the skin. The skin is the largest organ of the body and the antioxidants care for the skin by internally providing it with the required nutrients. When you consume foods rich in antioxidants, your body absorbs the vitamins, which play an essential role in caring for the skin and the body. As antioxidants affect the skin from the inside they can provide great protection against the damaging rays of the sun. Cosmetic and health products, like sunscreen creams, gels, lotions and sprays will layer the skin on the outside, but the antioxidants will shield the skin from the inside. Thus, they help prevent skin from sun damage. Vitamins C and E are a good source of antioxidants, that also encourage cell growth, as the skin is constantly shedding and regenerating, antioxidants will help renew the cells and maintain the ‘glow’. It is, however, important to note that antioxidants will not prevent wrinkles altogether or treat the ones you may already have. Wrinkles are a part of the natural aging process of the body; all the antioxidants can do is slow their progress. Since antioxidants are said to have cell repairing properties, and help with tissue growth, further aiding the body to repair itself, they can increase blood flow to the scar tissue, which is slightly tougher than the normal skin. This attribute may help in reducing the visibility of scars. By improving the health of the skin and renewing the appearance, antioxidants can help a great deal in toning and firming the skin. Many moisturizers and skin care products have antioxidants in them, especially those that are anti-aging in nature. A certain type of antioxidant that is found in green tea is known to increase the metabolism and circulation of the cells. This property provides for an anti-inflammation effect. It helps fight acne and even out the skin tone together with preserving the texture of the skin. How to get sufficient antioxidants in the body? To ensure sufficient intake of antioxidants, it is essential to maintain a diet that is inclusive of antioxidant rich food products. • Fresh fruits and vegetables: Grapes, berries, apricots, pumpkin, mangoes, oranges, kiwi, carrots, onion, garlic, spinach, broccoli, etc. It is best not to overcook the vegetables to preserve the nutrients and its antioxidant benefits. • Lean meat: Includes meat from chicken, turkey and other lean cuts of meat like lamb, beef and pork. The meat variety should be low in fat to provide for healthy protein in the diet. • Milk: Milk is rich in antioxidants including Vitamin E. However, if you cannot drink milk then you can opt for other dairy products like cheese and butter. A British study published by ‘The Journal of the Science of Food and Agriculture’, coauthored by Dr. Gillian Butler, shows organic milk is more beneficial as regards to the effectiveness of antioxidants present in milk and its by-products. • Seafood: A study in human arterial cells by French researchers (Richard D et al. 2008), at the University of Pierre and Marie Curie published the results which indicate that the omega 3 fatty acids present in fish may actually aid against the oxidation of cells that directly affect the heart. Hence, seafood proves to be a good source of antioxidants. • Tea and green tea: Tea is considered to be one of the most ancient beverages which are still popular among all nations, offering a large variety to the tea-lovers. Tea contains polyphenols which are a kind of antioxidant said to prevent cancer. Drinking around three cups of tea a day can help prevent a host of health problems in the long run. • Whole grains and nuts: As discovered by Joe Vinson, a professor of chemistry at the University of Scranton, in Pennsylvania, and his team almost all whole-grain breakfast cereals and many common snacks that are grain-based, contain significant amounts of polyphenols. Having cereal for breakfast can be much more rewarding than earlier thought to be. To conclude having a diet rich in antioxidants and maintaining a healthy lifestyle will go a long way in preserving the health of any individual.